Why write this? Some things we have to explain. If we don’t, others will infer explanations that bear no relation to the truth. Nevertheless, I suppose some people will now get after me for calling john zande and Arkenaten trolls, but we call people who cheat on their spouses adulterers, people who commit fraud con men, people who steal thieves, people who kill in malice murderers, people who…….. If we do that then what is wrong with calling someone who harasses bloggers on the Internet a troll? What is an Internet troll? Here is one definition. Since I have been blogging for awhile, I had experienced a troll, just one. Since he was a nasty fellow, I wrote about the subject. INFESTED WITH AN INTERNET TROLL? – When I wrote this the troll decided to contribute, of course. He was flattered. 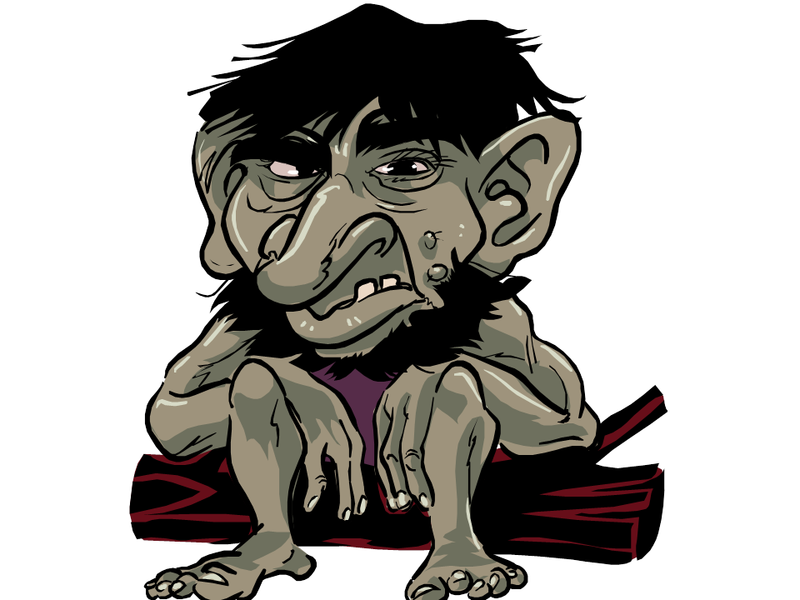 TROLLING THE “TROLL” – Nevertheless, even though I had had that one infestation, I decided it best not to call too many people trolls. GRACE, TRUTH, AND INTERNET TROLLS – This I wrote years latter when someone wrote asked me to link to their website. There was nothing special in the invitation, but I tried to make the reply worth posting. So why, after all these years, have I decided to identify two more people as trolls. I do so because that is what the data indicates. For those whose sympathies are with the perpetrators, Arkenaten was my first victim. I have gotten 62 comments from this habitual scorner since January 5, 2015. Other than scorning Christians and calling Christians and Christianity fraudulent, what was Arkenaten’s most annoying habit? He would demand EVIDENCE! Of course, he did not accept the validity of the evidence that anyone provided, and he felt no inclination to explain or defend his own beliefs. Instead of being responsive, obviously intending to be still more annoying, he feigned ignorance and questioned his questioner. Since being obnoxious is not crime and and no one had to dialog with Arkenaten if they did not want to, I left well enough alone. I reasoned that even a bad example can serve a purpose. Unfortunately, two comments (immediately deleted) went over the line. Arkenaten referred to Jesus by the word we use for a child born out of wedlock. Arkenaten called a book of the Bible vile twaddle. Since no one’s blog should exist merely to serve as an object of amusement for someone of Arkenaten’s ilk, his comments now go into the spam queue. Thus, I wrote the following comment. You are a time waster, pretending ignorance. You are also rude, and you have no respect for the rights of others. If you want to insult the Bible and Jesus — if you want to make a general pest of yourself — I will treat you as a pest. Further comments from you are going into the spam queue. No apologies. No regrets. Anyway, if you insist upon judging for yourself just google the most recent blog posts. John Zande is a troll of a more deliberate and thoughtful nature. Instead of being openly scornful, Zande is committed or steadfast. He carefully produces “evidence” and “facts” that he uses deceitfully to con the gullible. I first ran into Zande at ColorStorm (great blog, btw) on a post called Count them! I replied to some of Zande’s malarkey. Complaining that ColorStorm was censoring him, Zande left the first of his 90 comments at this post, CONVENTION OF THE STATES SUFFERS A SETBACK IN VIRGINIA. Zande’s comment had nothing whatsoever to do with the post. Eventually, I wrote a post that focused on Zande’s behavior, IF YOU GIVE A MAN ENOUGH ROPE, HE’LL HANG HIMSELF. As I expected, that did not especially bother Zande. He was happy to be the center of attention. What set Zande off is the fact I posted some of the material from his website in WHY WOULD A MAN HANG HIMSELF? — PART 3C. That he claimed gave him some kind of special right. You do confuse me… often. 82 comments I see, a great majority connected to me and my rather simple question, and not one of you have been able to name a single new or original or marginally useful thing said or done by Jesus. Now, by all means, if you finally want to actually confront the question, which is only presented here because you posted my work, then do so… I’d be tremendously interested to hear your answer. Over to you… Or are we going to go for 100 comments? Latter, Zande raised the ante to 200 comments. What about Zande’s question? Multiple people answered it. Zande just refused to accept any answer except the one he wanted. When somebody is playing fast and loose with facts and evidence, I have no obligation to let them post their claptrap on my blog. That is especially true when they have as much as told me they are spamming. Therefore, I left this note for Zande. Since you are behaving like a troll, I have decided your comments should be directed to the spam queue. 1. If someone cares to read through your comments and find those that are pertinent, they will find you have threatened to plague this blog until I answer your ridiculous question. As many have already pointed out, your question assumes a false premise. Therefore, unless I choose to give you the stupid answer you demand, I cannot answer your question as you have demanded that I answer it. 3. You consider it cute not to reply to straight-forward questions from other commenters, and yet you harass others with your question. Note that I never misrepresented anything Zande had written in his blog, and Zande never said that I did. When he posted his garbage on my website, I just used material from his own blog to discredit him. Will everyone think my decision to keep these two people off my blog appropriate? No, but only a fool of yet another kind tries to please everyone. Again, if you insist upon judging for yourself just google the most recent blog posts. Frankly, if you insist upon understanding Zande’s character, I think it would be easier just to visit his website, not that I recommend it. Let’s make that perfectly clear. I don’t suggest visiting Zande’s website. I think the time would be better spent in the Bible. For some reason I have acquired a special affection for both John and Ark. Ark departed my site voluntarily, never to return once I started sending his really nasty, curse-ridden comments to spam oblivion. And I appreciate John’s pro-level, expertly designed leftist, anti-Christian propaganda delivered with Messiah-like love and affection. Although I can understand profoundly how such a wanton, studied misuse of God’s gift of soul and intellect could be perceived as nothing less than totally disgusting. But such is the world of man without God. Hey SOM – are you still in prison? And causing the guards no end of trouble! !